This has got to be one of the most spectacular race finishes I have ever seen. 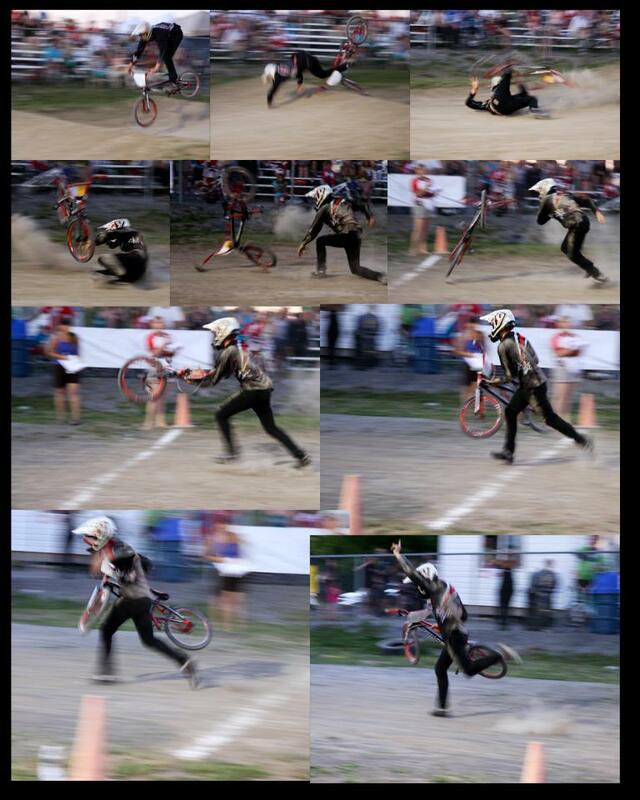 At the Kingston BMX Provincial Qualifier this past weekend, Michael Morris crashed hard over the last jump (watching it from the sidelines it looked like he would be down for the count) but in a split second he bounced back up, grabbed his bike (that is now spinning in front of him) and ran across the finish line…for the win! As you can imagine the place went bananas! Kudos to Debbie Meighen Albrough for the great camera work!